Getting help from the SuperCard community. 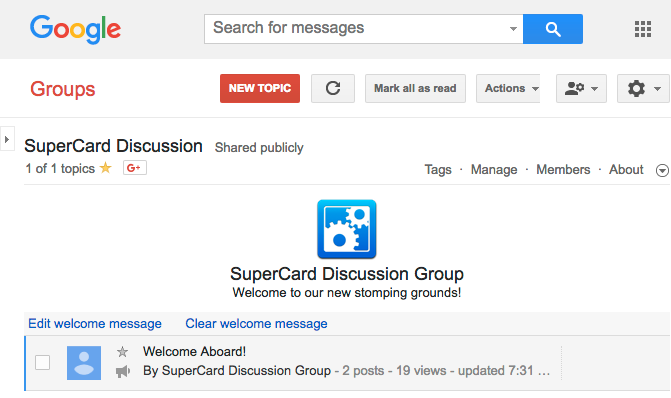 The new SuperCard Discussion Group is an excellent place to get help with the basics, scripting, and advanced techniques. It is simply the best place on the planet to get answers to your SuperCard related questions. Free of charge support for general issues. Solutions Etcetera provides 90 days of Standard Support without charge. This includes help with basic issues such as installation and general usage. 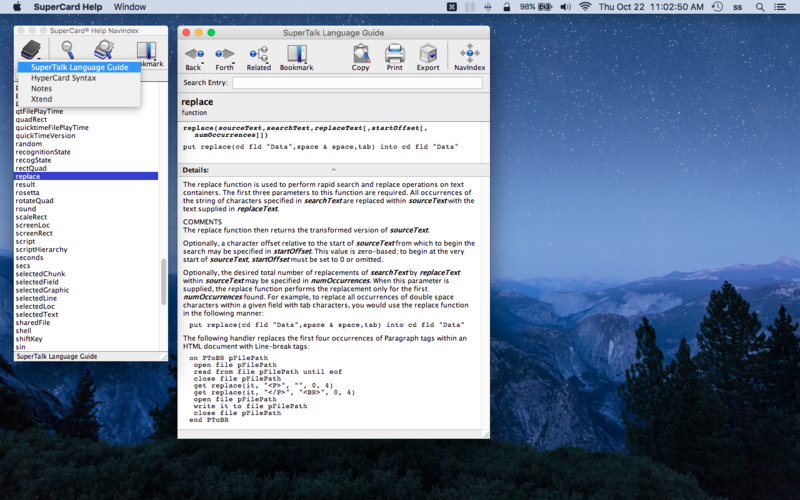 If you want help with writing scripts or other advanced issues, Advanced Support is available. Please be as accurate and concise as possible. In order to help we will need the version of the app you are using, along with the model of your computer and the version of the OS it is currently running.